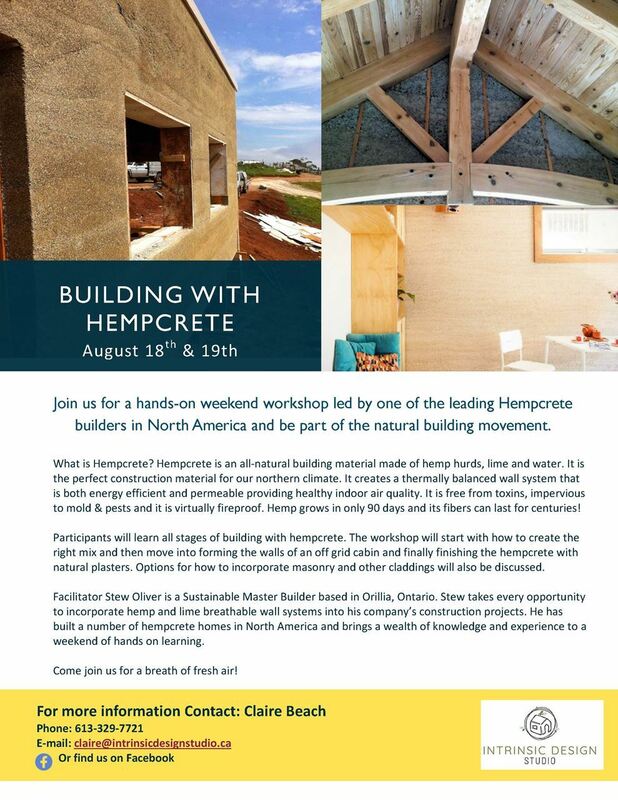 This workshop ‘Building with Hempcrete’ will be facilitated by Stew Oliver, a sustainable master builder and inspirational instructor from Orillia, Ontario. The aim is to increase awareness of sustainable building practices and materials best suited for our northern climate. Through education and experience we are optimistic that changes to the way we build can have positive, lasting impacts on our health and our environment. Attached is some information about the workshop. If you have any questions or would like a registration package - please email or call Claire Beach at 613-329-7721. Registration opens today and spots are limited. We hope you can join us for a memorable weekend of learning and fun!